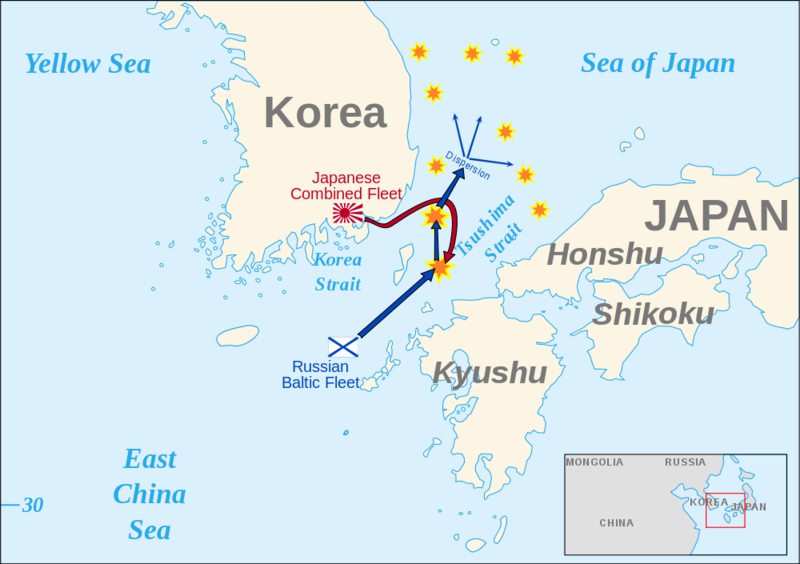 The war started, somewhat familiarly, with a Japanese surprise attack on February 8th, 1904 on the Russian Pacific Fleet based in Port Arthur (modern day Lüshunkou, China). Like Pearl Harbor, the attack took place before a formal declaration of war had been issued. While the Japanese in 1904 used destroyers and torpedo boats instead of planes (the latter, of course, having just been invented) the result was similar to the attack on Pearl Harbor. The Japanese managed to damage several battleships and cruisers but they failed to deliver a knockout blow. Thus, the Battle of Port Arthur is generally considered to be inconclusive. Moreover, Russia in 1904 was more of a paper tiger than a sleeping giant. Japan benefited from much shorter supply lines than Russia. Therefore, while the initial assault on Port Arthur failed to achieve its goal, the Japanese were able to quickly follow the attack with a blockade and then a siege of the port. To help relieve Port Arthur, Tsar Nicholas II turned the bulk of his Baltic Fleet into the the Second Pacific Squadron and ordered them to sail from Kronstadt (near St. Petersburg) to Port Arthur. However, due to poor planning the fleet took several months to assemble and only left in October, 1904. Under the command of Admiral Zinovy Rozhestvensky, things went from bad to worse. Less than a week out of port, the Russian fleet decided to fire on some British fisherman, near Dogger Bank, who they mistook as Japanese torpedo boats. The British government was understandably incensed and retaliated by closing the Suez Canal to the Russian Fleet. It should however also be noted that Britain and Japan had signed an Alliance in 1902 where they agreed to remain neutral in the event either found themselves at war with a third power. So this may have also contributed to the decision to close the canal to the Russians. In either case, the outcome was that the Second Pacific Squadron had to travel around the Cape of Good Hope as the blue route on the map below demonstrates. While European ships had been traveling around the Cape of Good Hope for centuries, the switch to coal powered steam ships, from wind propelled sailing ships, presented a new logistical challenge. From the mid-19th century onward, the Great Powers were able to place coaling stations in the ports of their ever expanding and far-flung colonial empires. Incidentally, Japan itself was opened up in 1853, in part, because the American government wanted Japan to host coaling stations in its ports that would help make trade with China easier for the United States. However, since Russia’s Empire was land rather than sea based, it lacked these crucial coaling stations. This meant that the Second Pacific Squadron had to leave Russia with huge coal reserves on-board. They were finally able to refuel in French controlled Madagascar, France being an ally of Russia at this time. Upon his arrival, Admiral Rozhestvensky learned Port Arthur had fallen to the Japanese. As a result, Rozhestvensky was ordered to rendezvous with the Third Pacific Squadron. 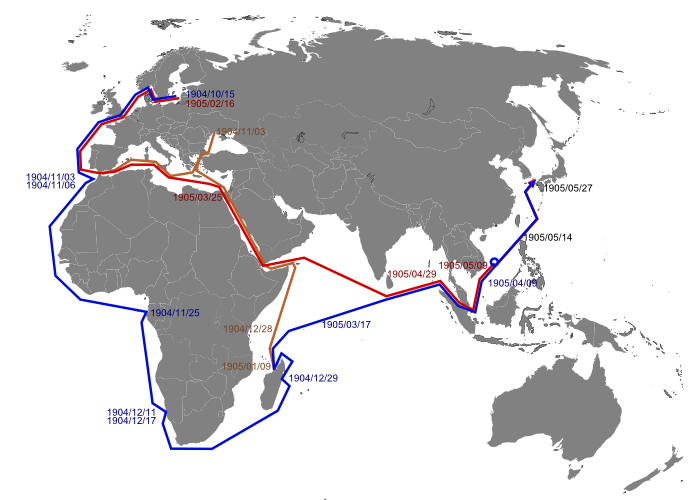 It consisted of the remaining elements of the Russian Baltic Fleet and was allowed to use the Suez Canal, after heads had cooled from the Dogger Bank incident (see red route above). They were then to head for the Russian port of Vladivostok. The Second and Third Pacific Squadrons finally met in Indochina, another French controlled colony, on May 8th, 1905. During this time things had not gone well for Russia’s army either. In addition to the loss of Port Arthur (January 2, 1905), the Russians were repulsed during the counter-attack Battle of Sandepu (25-29 January, 1905) and defeated at the Battle of Mukden (20 February – 10 March 1905). Yet, the Battle of Mukden had been a bit of Pyrrhic victory for the Japanese, since despite winning, suffered a higher proportion of combat casualties than the Russians. With both the Russian and Japanese armies near exhaustion, the stage was now set for a naval showdown that could hopefully decide the war one way or the other. Admiral Rozhestvensky’s Second Pacific Squadron had steamed over 18,000 nautical miles (33,000 km) as it approached the Tsushima Strait on May 27th, 1905. An incredible and almost impossible journey that had taken it more than half way around the world, to far side of the Russian Empire. The Battle of Tsushima was a deceive Japanese victory. Despite the long journey, Admiral Rozhestvensky’s combined fleet was utterly destroyed with the loss of all Battleships. With two of Russia’s three fleets completely destroyed, the Russian government had no choice but to sue for peace. The battle of Tsushima is by far the greatest and the most important naval event since Trafalgar. The Treaty of Portsmouth, which was mediated by American President Theodore Roosevelt (who would win a Novel Peace prize for his efforts), officially ended hostilities and was signed on September 5, 1905. Coincidentally, another Roosevelt would be President when Japan attacked Pearl Harbor 36 years later. The war dramatically put an end to the myth that European countries could always expect to win conflicts against non-European ones. It confirmed that Japan should be considered a Great Power. 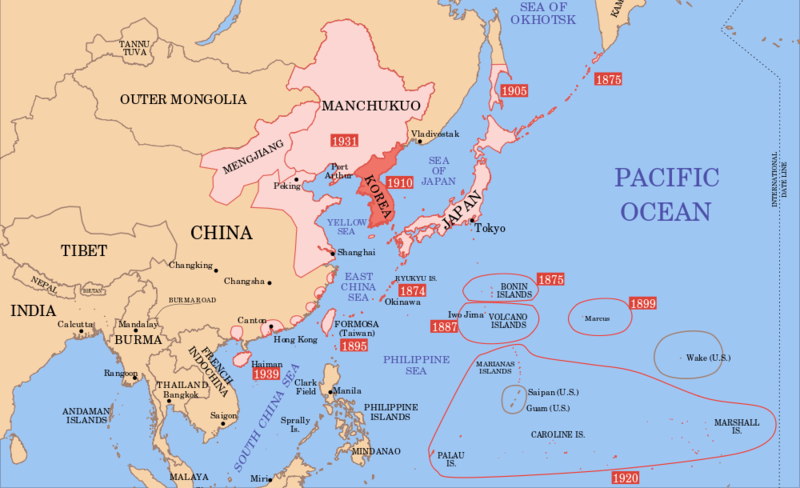 As a result of the war, Japan began its occupation of Korea, resulting in full annexation just 5 years later in 1910. The occupation only ended at the conclusion of World War 2 in 1945, with the creation of two new Korean states, North and South Korea. The war also resulted in far heavier than expected casualties on both sides, a lesson that was not learned before Europe plunged into a much greater war less than a decade later. Russia’s loss helped trigger the Russian Revolution of 1905, which while ultimately unsuccessful, may be viewed in hindsight as a dress rehearsal for 1917. Many in Japan felt that while they had won a decisive military victory, that this was not accurately reflected in the Treaty of Portsmouth. The United States, who brokered the peace, got much of the blame for siding with Nicholas II. Of particular concern was that Japan did not gain all of Sakhalin Island (only the Southern portion was ceded to Japan) and much more importantly America sided with Russia over their refusal to pay war reparations. The feelings were not dissimilar to the ‘stabbed in the back’ myth felt in Germany after World War 1. The praise Japan received for the daring surprise attack on Port Arthur, would have tragic consequences when Japan attempted a similar move against the United States. Moreover, the Battle of Tsushima gave rise to a myth in Japan that all they had to do to win a war was to achieve victory in one decisive battle. Perhaps the best example of this is the Japanese failure at Middway. This battle also paved way for the Norwegian independence from Sweden in 1905. When Russia removed their Baltic fleet, the power balance in the Baltic Sea changed, and the great powers of Europe (aka UK) blessed the Norwegian declaration of independence. Without this battle it would probably taken a few more years..
That’s really interesting and I had no idea. Makes sense though. Interesting how so many historical events have connections on the other side of the world. Thanks for sharing your comment. 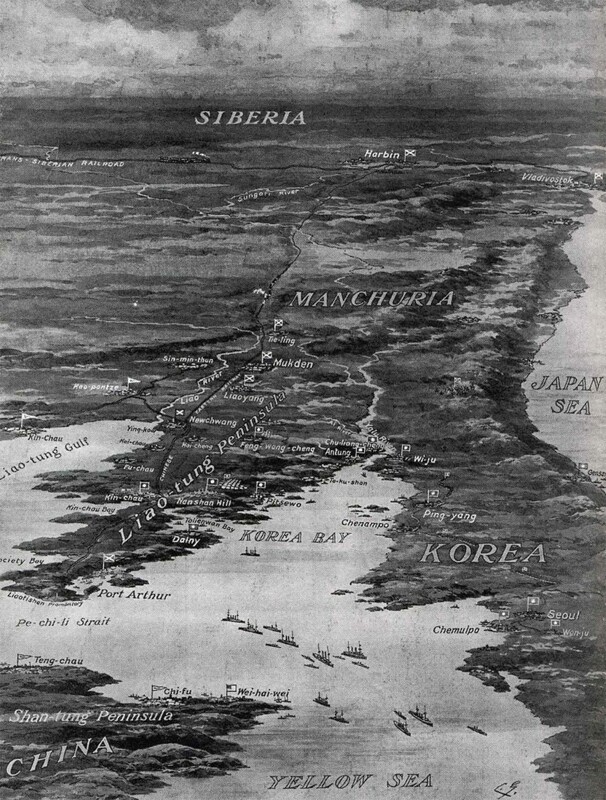 From the viewpoint of public international law, the Russo-Japanese war was a war of aggression started by Japan against no fewer than three independent nations: Korea, China and Russia. Surprisingly, it has not been portrayed as such by “Western” historians. Not so surprising, since Britain wouldn’t let Russia through the Suez and helped Japan. The last map shows Saipan as a US possession in 1939. It was a Japanese mandate. Guam was US.